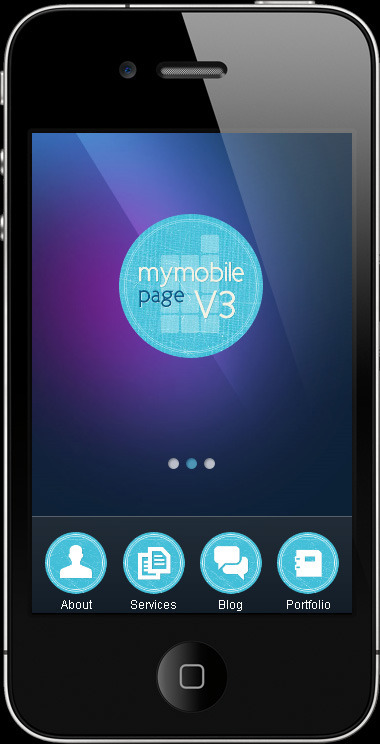 My Mobile Page V3 Wordpress Theme is the third version of “My mobile page” wordpress mobile theme series. 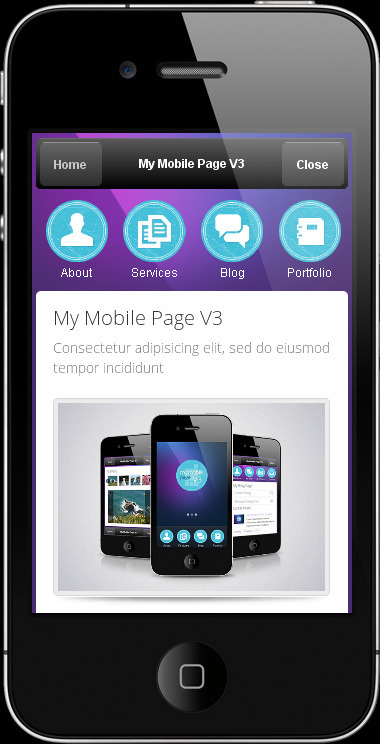 The Wordpress version comes with a custom ajax powered admin panel, from where you can setup the theme and his features. You can customize the home navigation menu, adding and editing the icons and the numbers of pages to display. 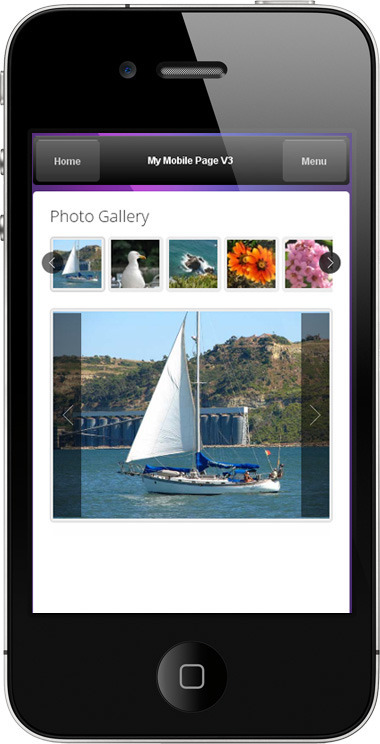 Also you can create blog pages, photo galleries, portfolio sections with flexible images and videos. Using the allready 12 smart editor shortcodes you can manage your content easily. 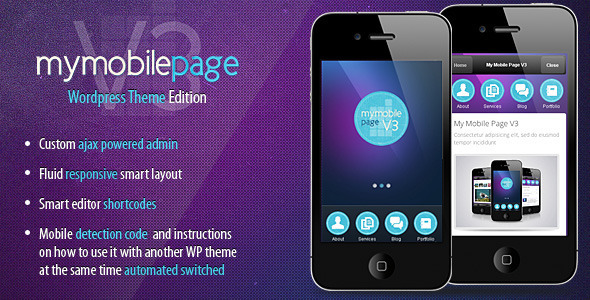 Go and download THIS wordpress theme swicher plugin and install it like a regular plugin. Go and download THIS mobile detection code and copy the file to your “desktop theme” root folder. Where the header.php file is also. IMPORTANT: The desktop theme must always be the one left active from your wordpress admin. After you download the mobile theme, activate it, add all the content to it, make all the settings you want, and after that deactivate it and activate the desktop theme again. Now go and test it with your mobile. The desktop theme will stay active for desktop users, and the mobile on will be activated only when the user is coming from a mobile device.